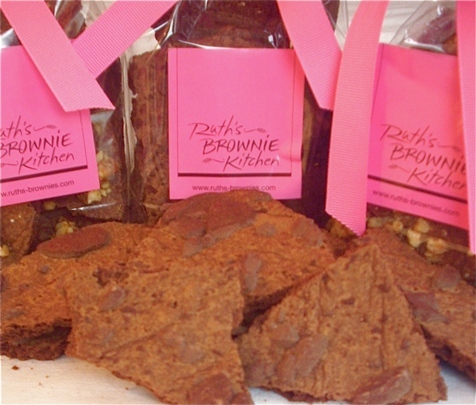 Exclusively Ruth's... Brownie Zingers, the crunchy tops of our famous brownies. 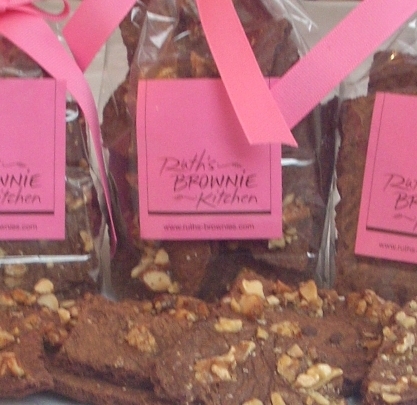 Enjoy the rich, full chocolate taste of these crunchy wonders, the very best part of any brownie. Available in 3 varieties... Chocolate Chunk, Walnut and Toffee Crunch. Each bag is filled with 5 full ounces of delicious, crunchy chocolate goodness. Ruth's exclusive Brownie Zingers are like just the crunchy tops of brownies... maybe the very best part. These delicious treats are chock full of tasty toasted walnuts. Filled with our own Toffee Crunch, Ruth's exclusive Brownie Zingers are everyone's favorite part of a brownie... The crunchy top! You asked and we listened--our Zingers have gone Gluten Free! The same delicious Zingers loaded with walnuts are now made with a special blend of King Arthur Gluten Free Flours so now even our customers that have Celiac or are gluten intolerant can enjoy the best part of the brownie...The Crunchy Top! Our Gluten Free Zingers are still packed with rich chocolate brownie taste and homemade Almond Toffee--we just left out the gluten! Whether you are a Celiac, have a gluten intolerance, or are just cutting back on wheat products, you can be assured that we use the best blend of King Arthur Gluten Free Flours. We might have left out the gluten but we didn't leave out the crunch! 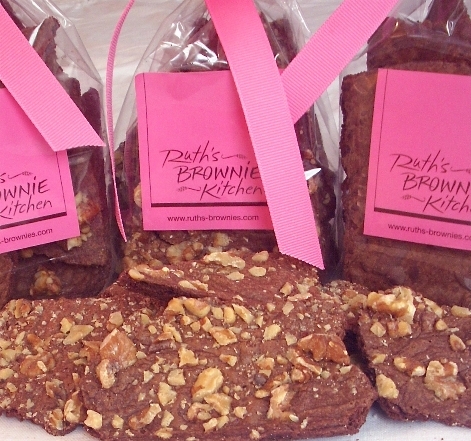 Now with Ruth's Gluten Free Brownie Zingers no one has to miss out on the best part of a brownie...The Crunchy Top! Enjoy an assorment of our exclusive Brownie Zingers. You get to enjoy each of our three fabulous Zinger flavors: Chocolate Chunk, Walnut and Toffee Crunch. Enjoy each of the three fabulous Brownie Zinger flavors: Chocolate Chunk, Walnut and Toffee Crunch.